The billionaire philanthropist kicked off the Reinvented Toilet Expo in China and unveiled a new toilet that does not require water or sewers, and uses chemicals to turn human waste into fertilizer, Reuters reported. “We are all here for one reason: because more than half the world’s population doesn’t have the safe sanitation they need to lead healthy and productive lives,” Gates said in a speech on Tuesday in Beijing. Gates tweeted a video Monday that described his and his foundation’s mission to improve sanitation for countries that do not have or cannot afford to build the sewer infrastructure to remove waste. To drive home the importance of safe sanitation, Gates brought a jar of feces with him during his keynote in Beijing. “You might guess what’s in this beaker—and you’d be right. Human feces. This small amount of feces could contain as many as 200 trillion rotavirus cells, 20 billion Shigella bacteria, and 100,000 parasitic worm eggs,” the Microsoft co-founder said. Poor sanitation kills nearly 500,000 children under the age of five annually and costs an estimated $223 billion a year in the form of higher health costs and lost productivity and wages, Reuters reported, citing the information from the Bill and Melinda Gates Foundation. The aim of the expo is to “launch a new category of innovative, decentralized sanitation solutions that will benefit millions of people worldwide,” Gates said. Several of these “reinvented toilets” are currently being tested in Durban, South Africa. 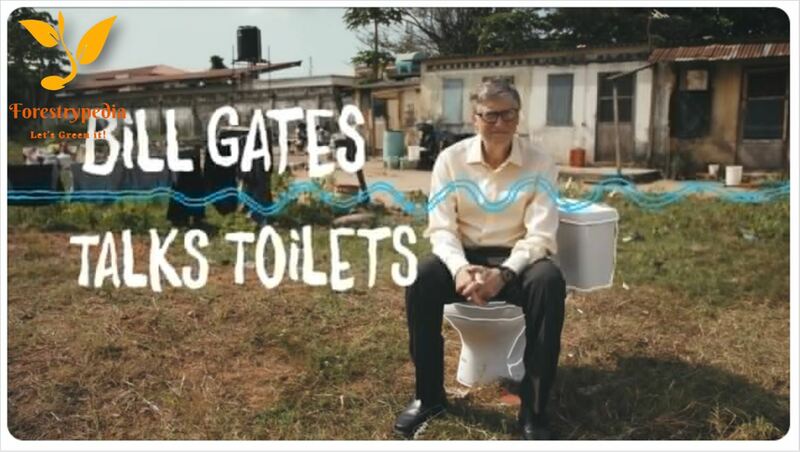 “Durban is a good place to run these tests because the city is growing fast and many people there don’t have a modern sanitation, which means that, even if they have access to a toilet, the waste can get into the environment and make people sick,” Gates said in the video. These “reinvented toilets” are powered by solar panels. The next step for the project is to pitch the concept to manufacturers, Gates told Reuters. He estimated that the market for the toilets will be more than $6 billion by 2030.